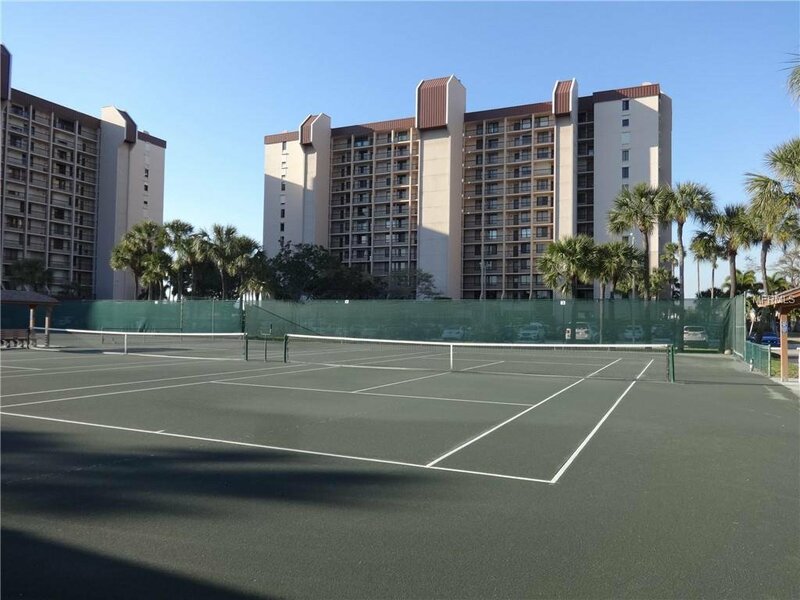 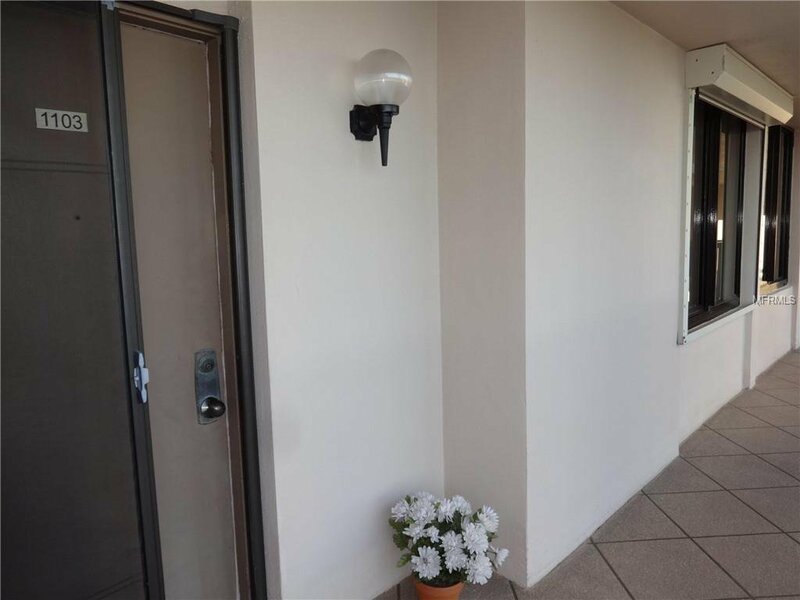 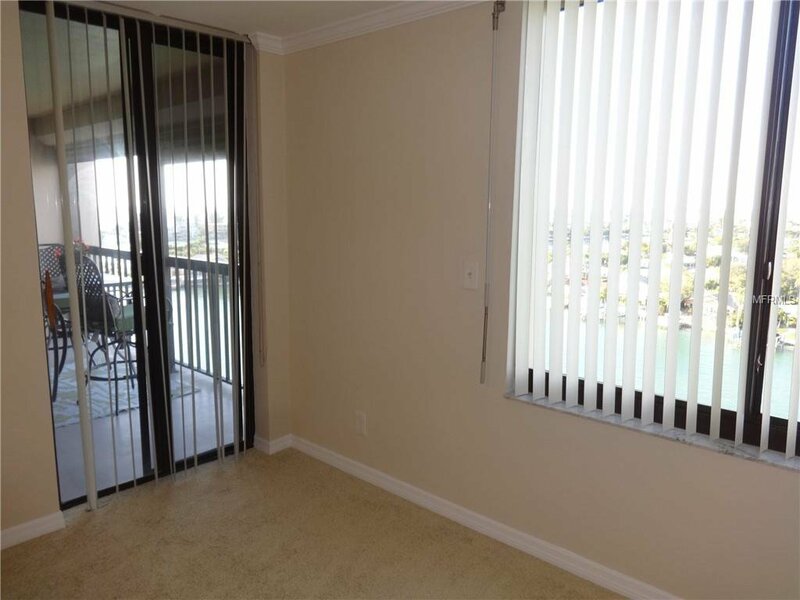 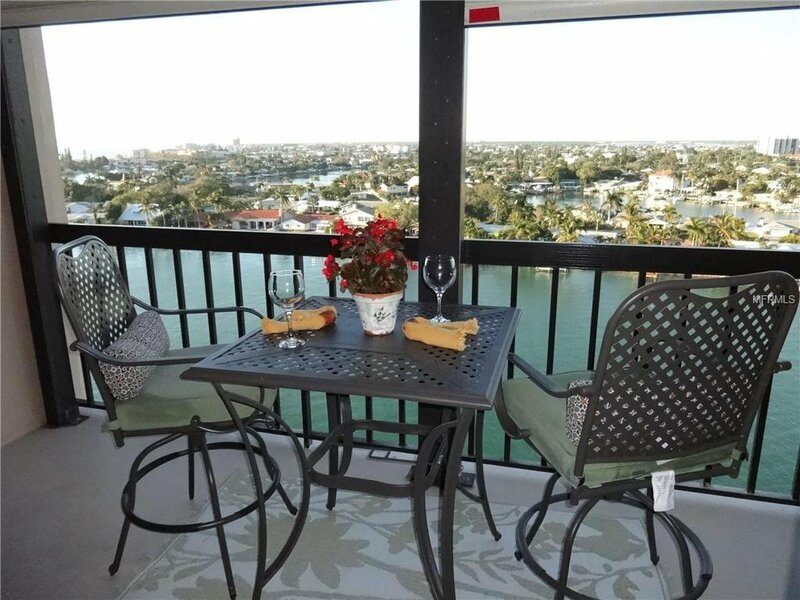 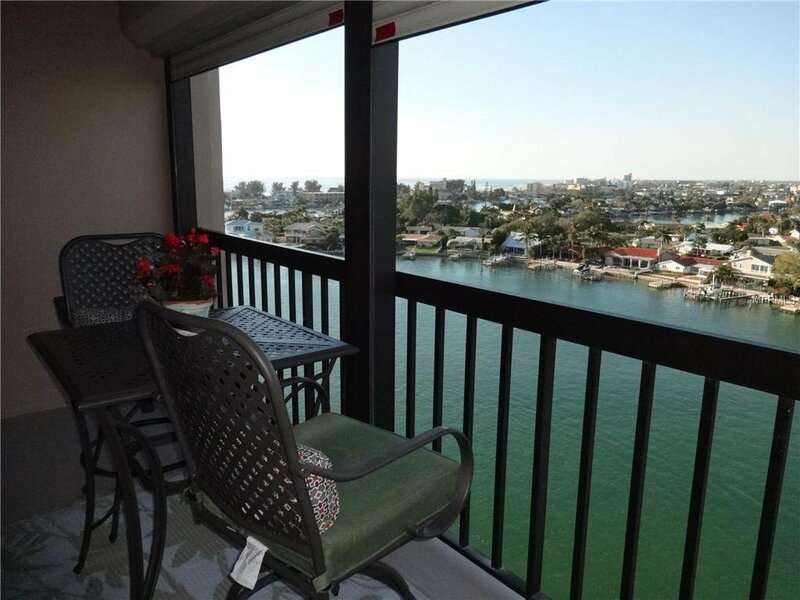 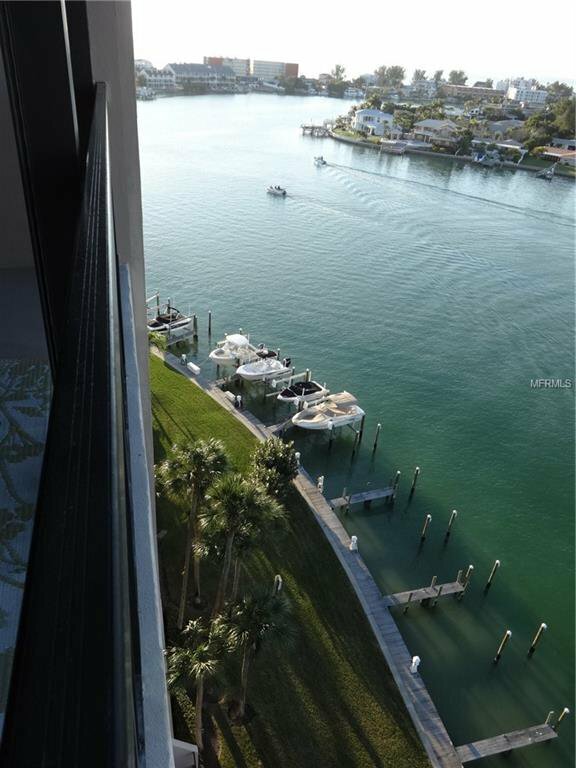 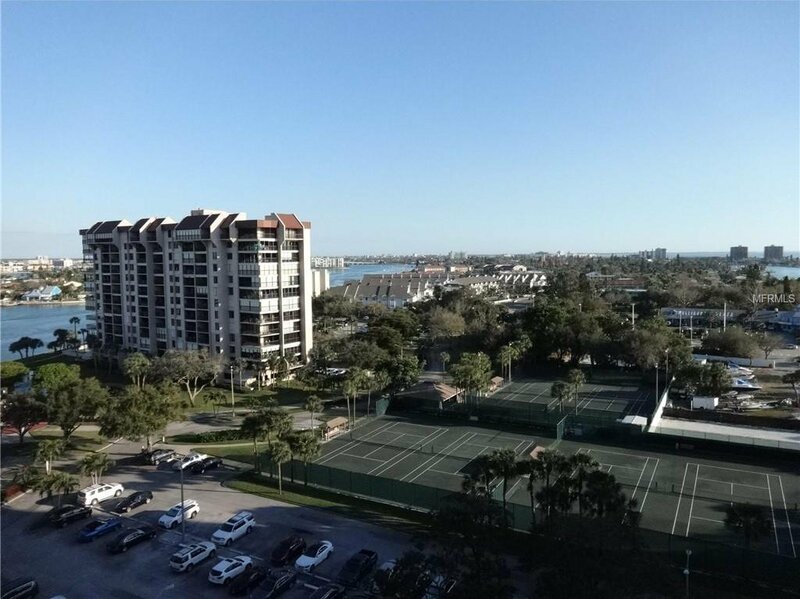 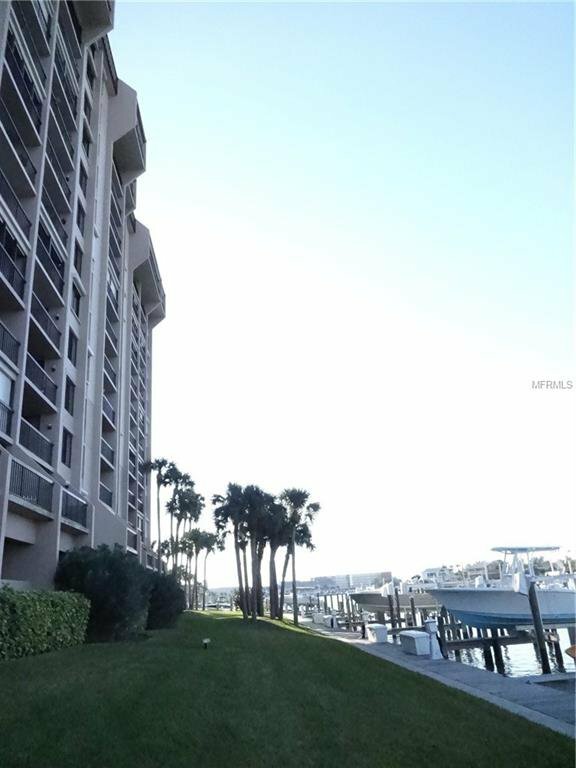 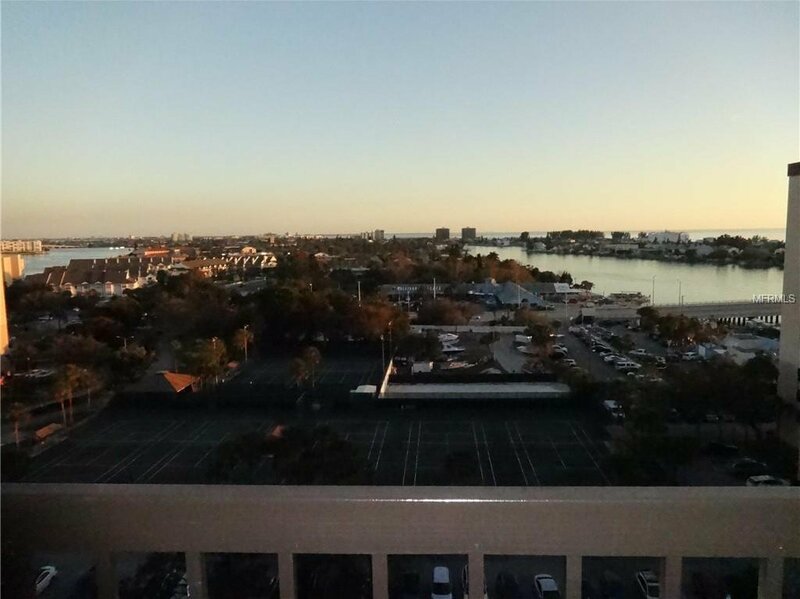 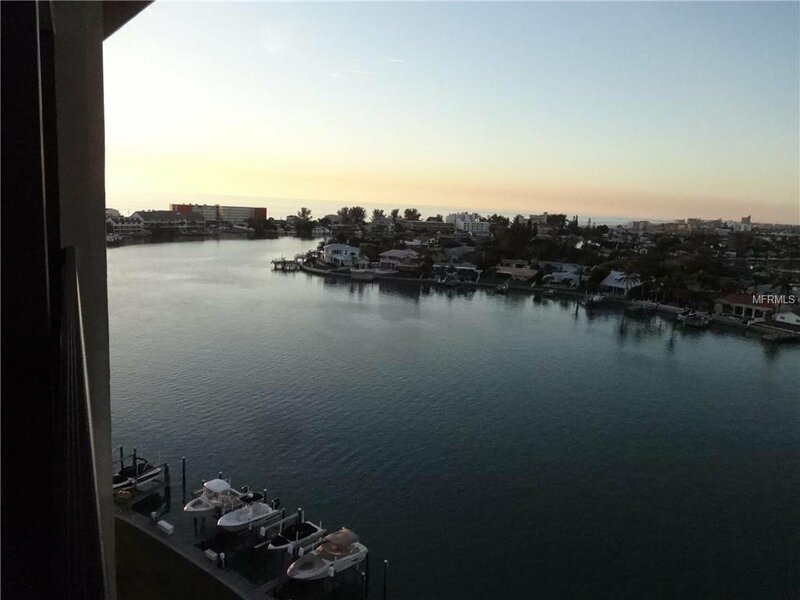 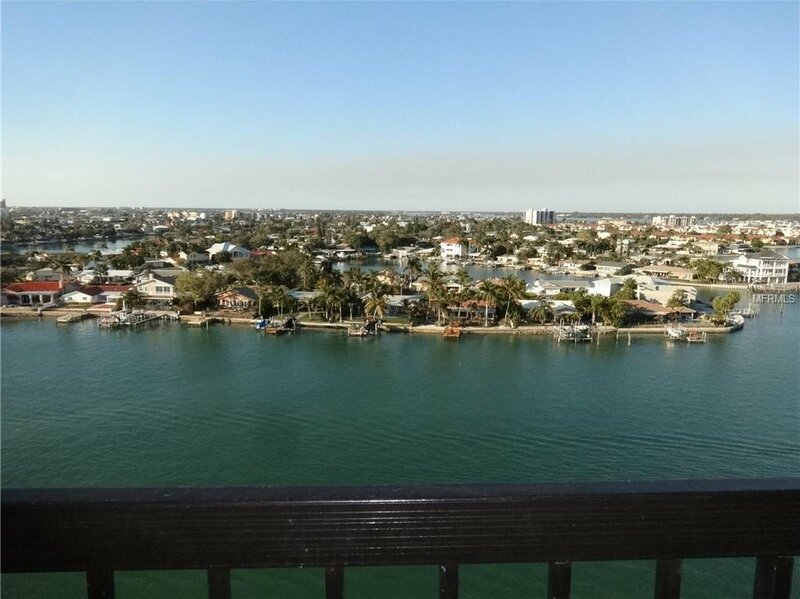 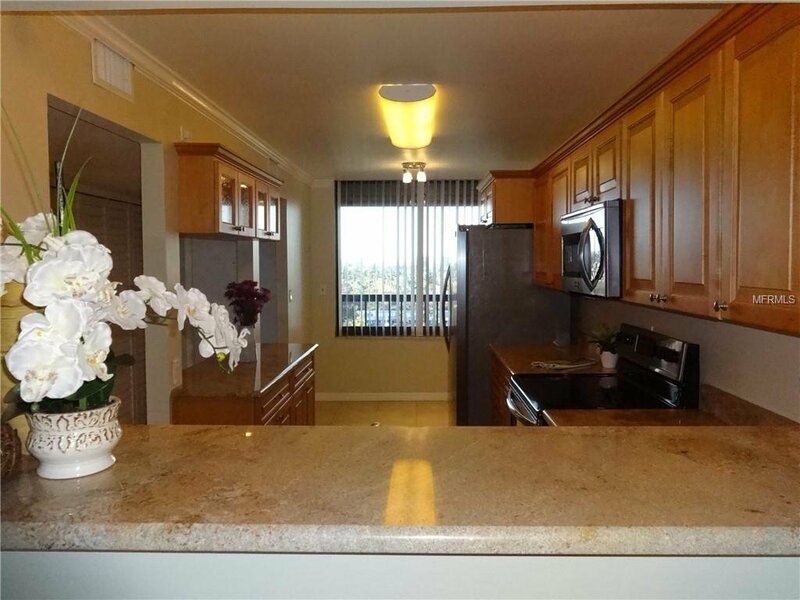 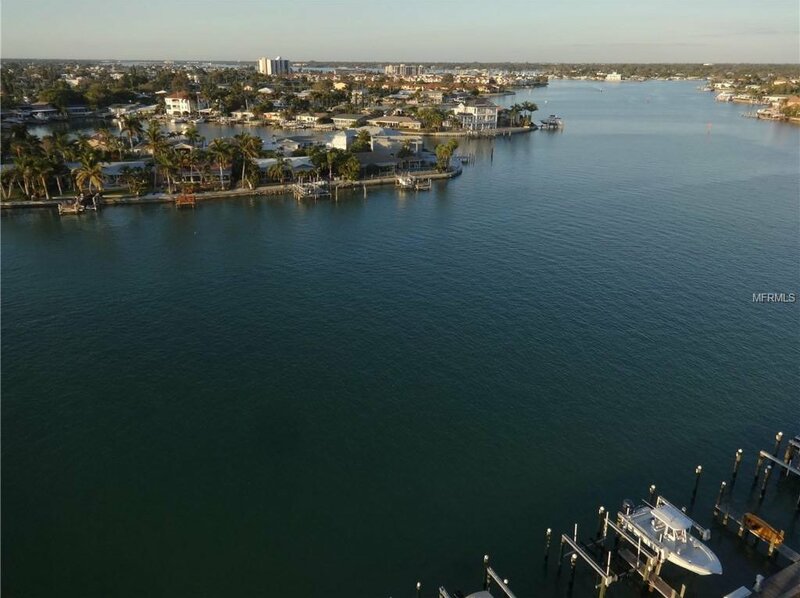 Waterfront 2/2 Condo with panoramic 11th FLOOR views of Boca Ciega Bay, Intracoastal Waterway & Gulf of Mexico in desirable building of the gated, private Yacht & Tennis Club of St. Pete Beach. 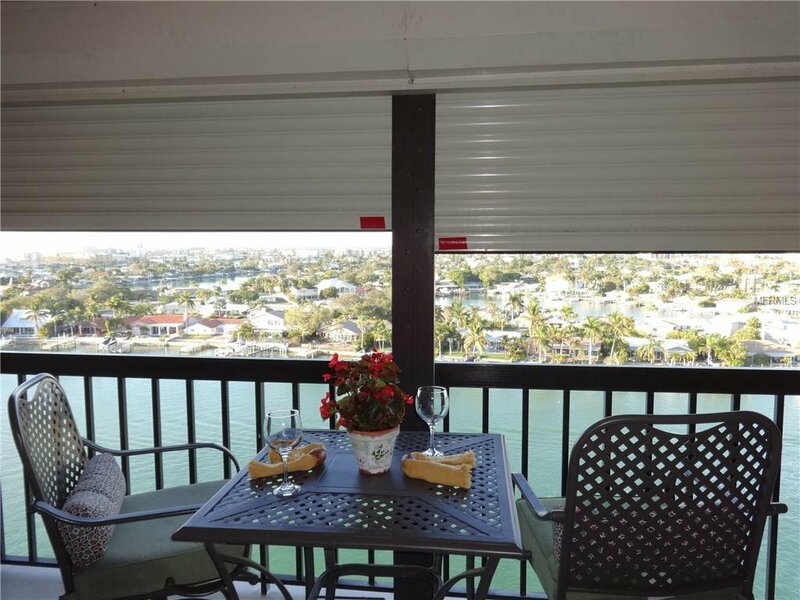 Central location between St. Pete Beach & Treasure Island, walk to local restaurants, beach, night life, and short ride to trendy downtown St. Pete. 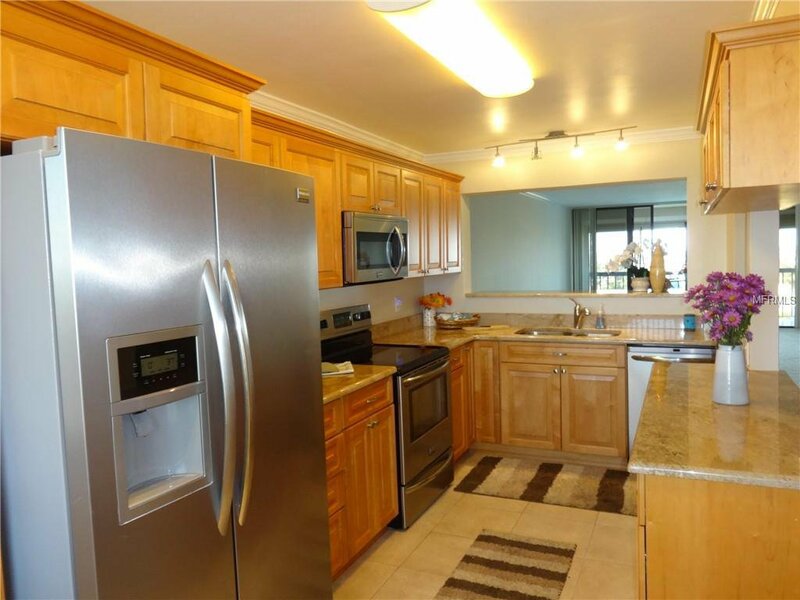 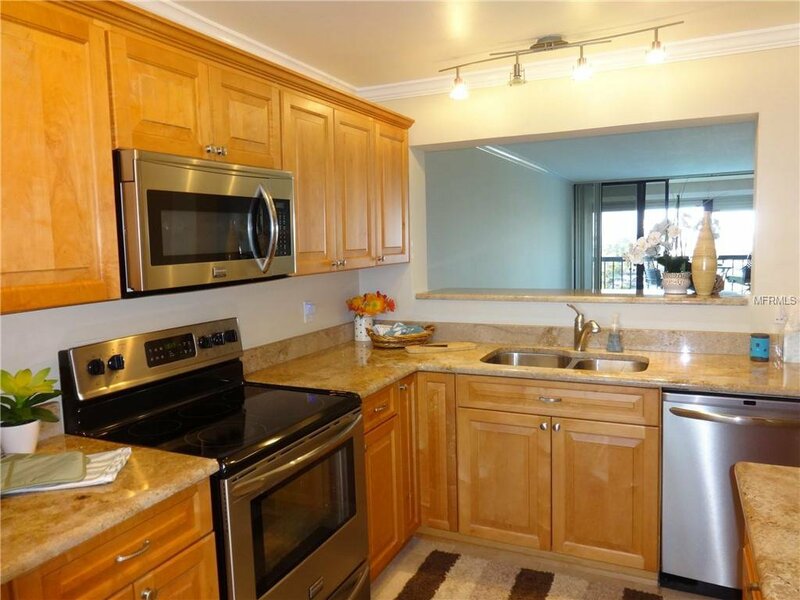 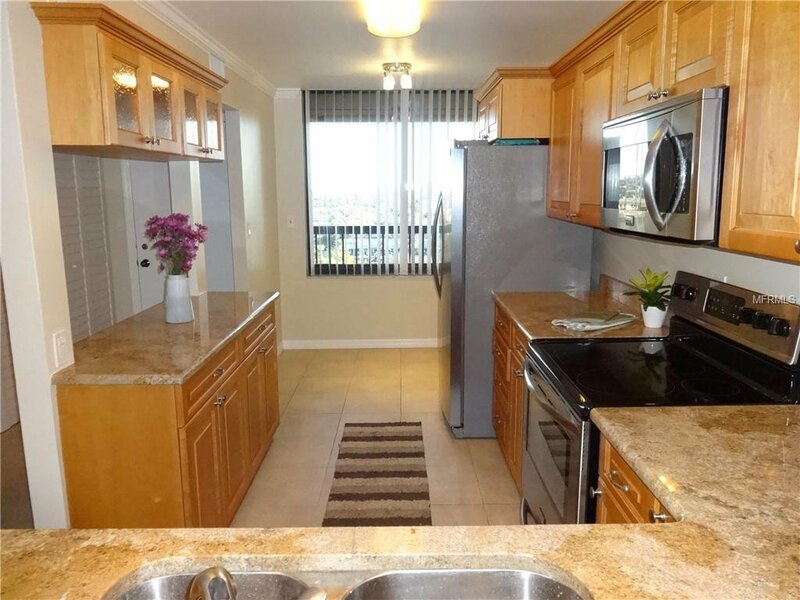 Condo has open floor plan with bar to recently renovated eat in kitchen, including custom cabinets, granite counter tops & stainless appliances. 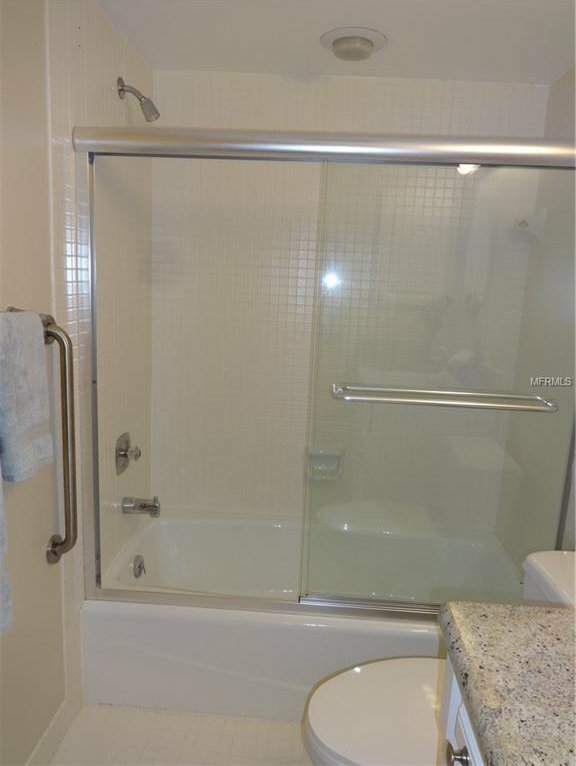 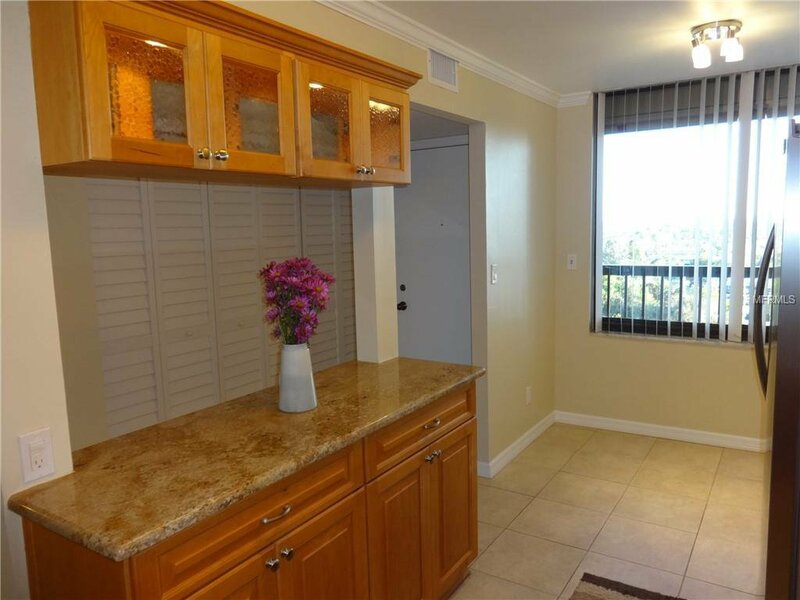 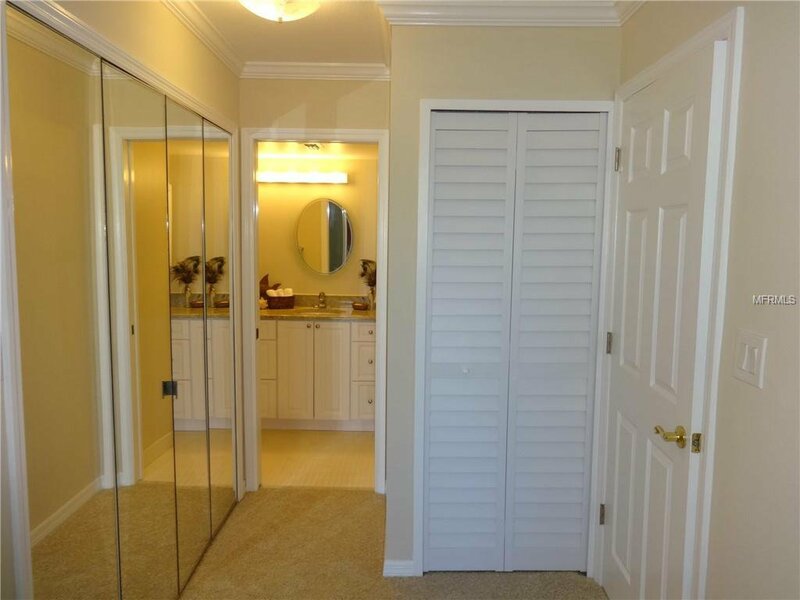 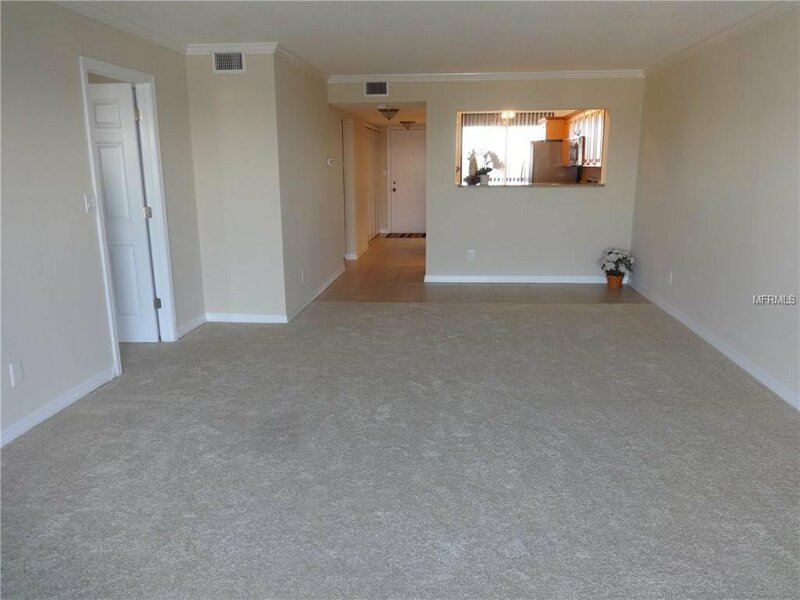 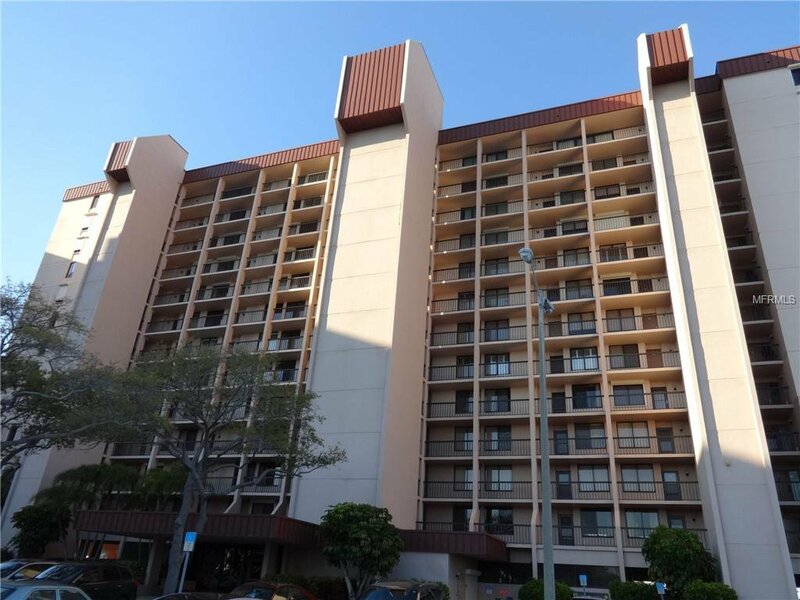 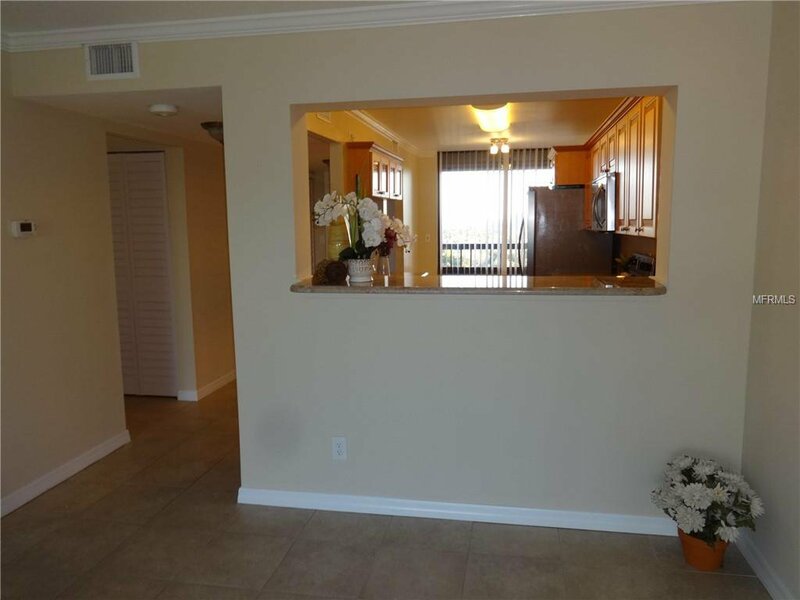 Large master with on suite, walk-in closet, linen closet & separate sliding glass doors to balcony. 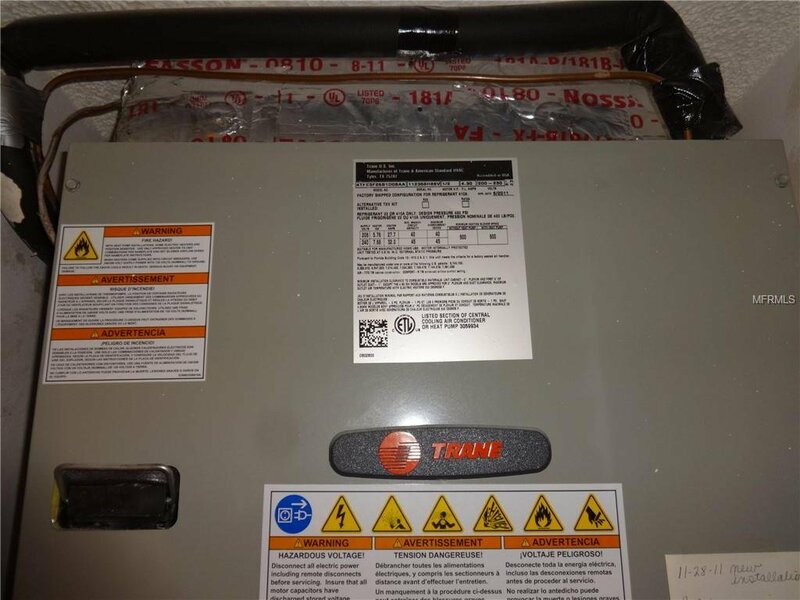 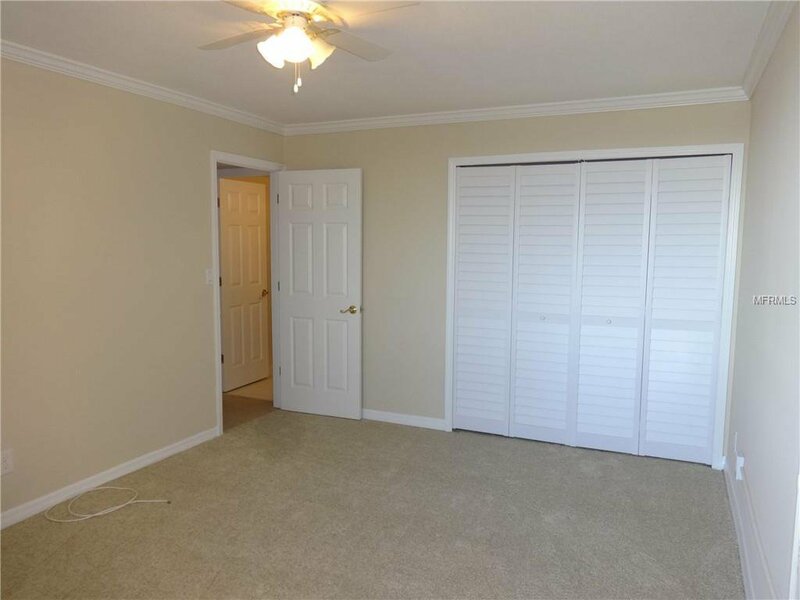 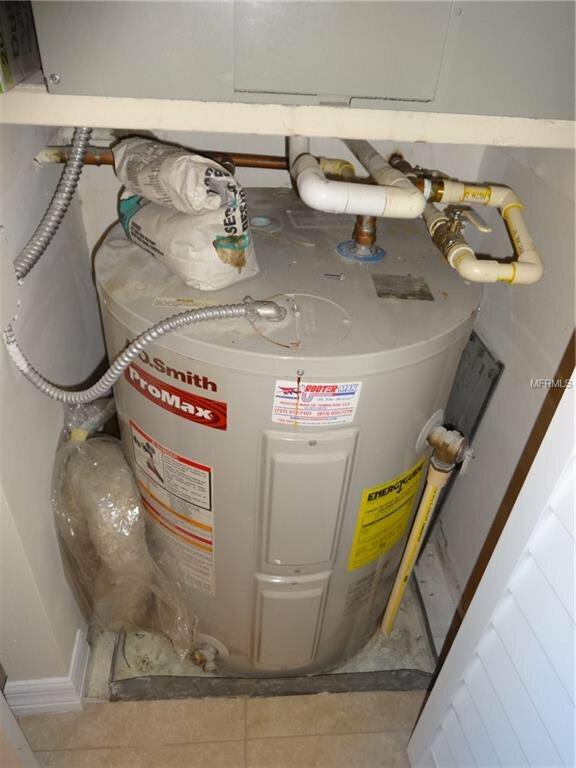 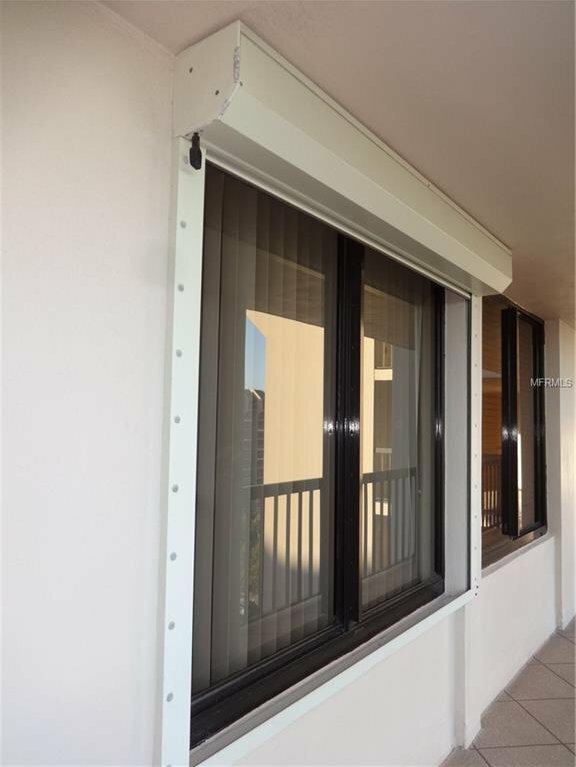 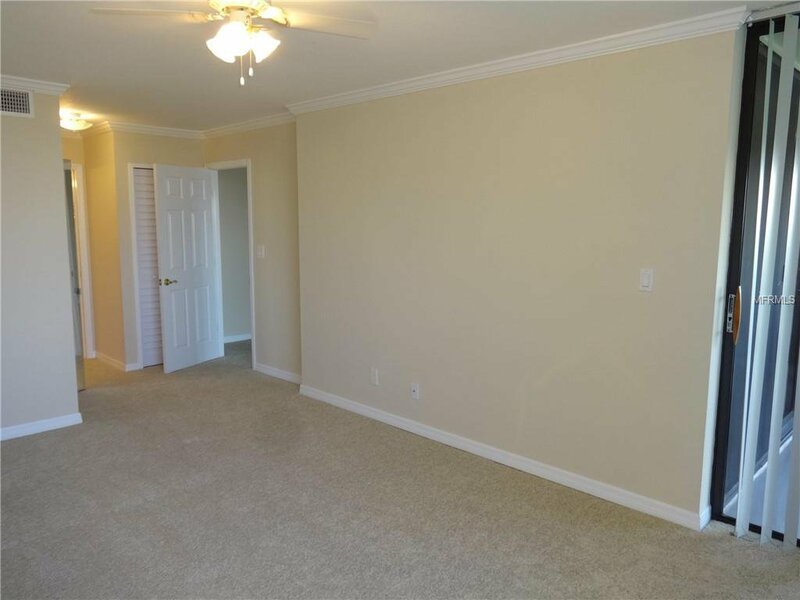 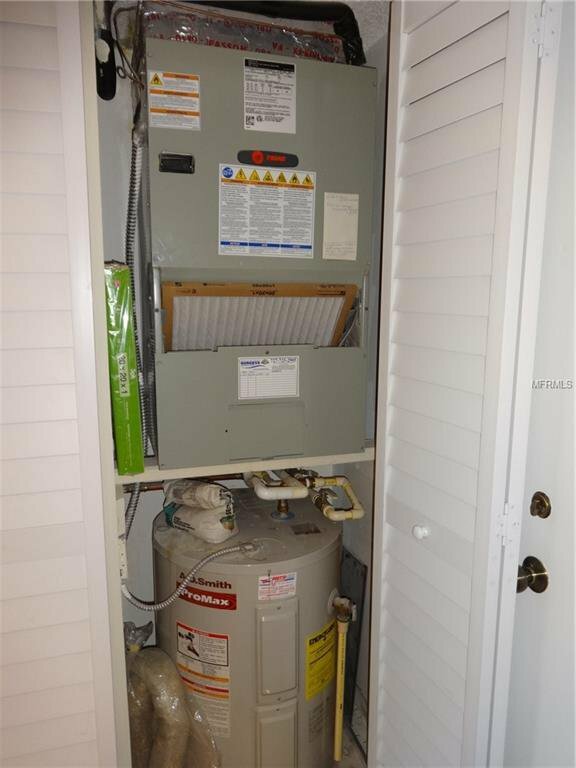 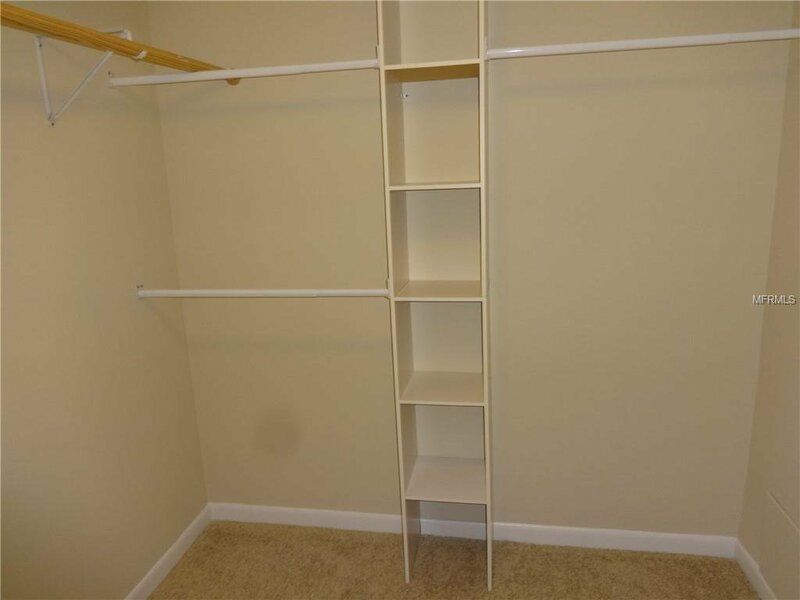 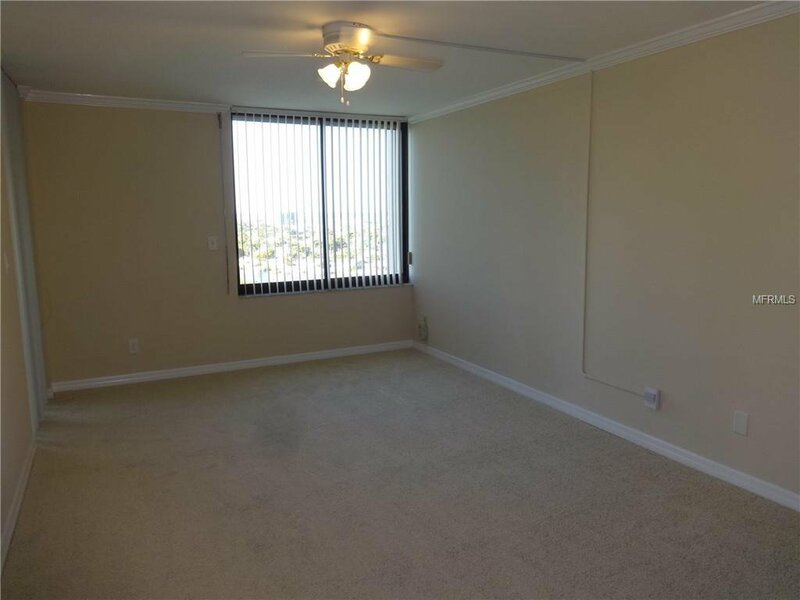 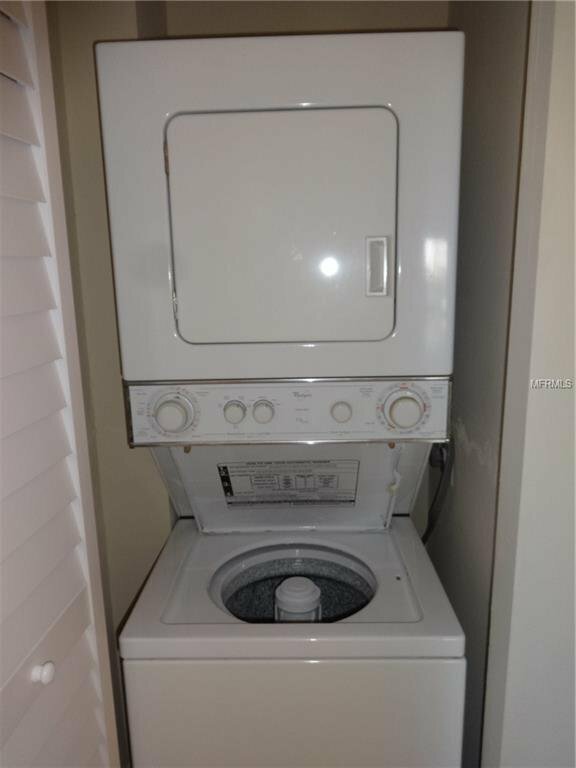 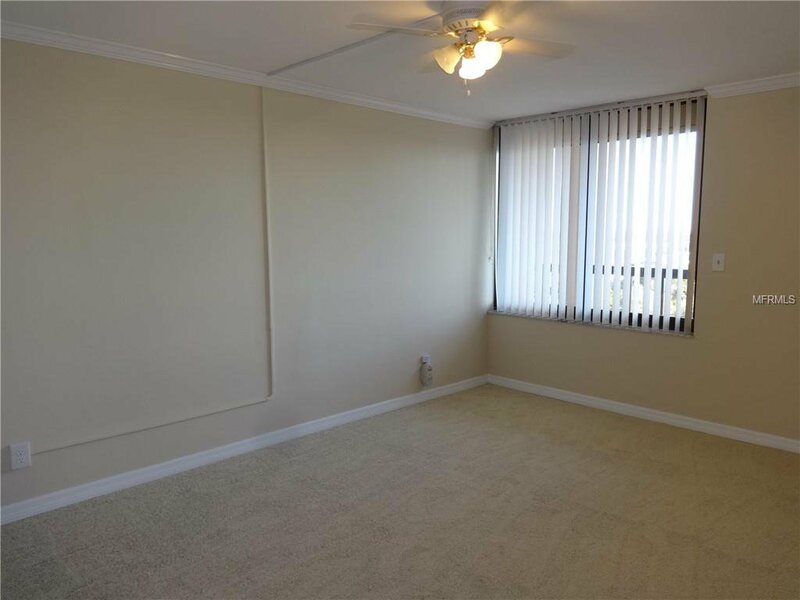 Freshly painted, brand new carpet, WD, electric rolldown hurricane shutters on all windows including balcony, generous storage PLUS additional storage unit located in garage. 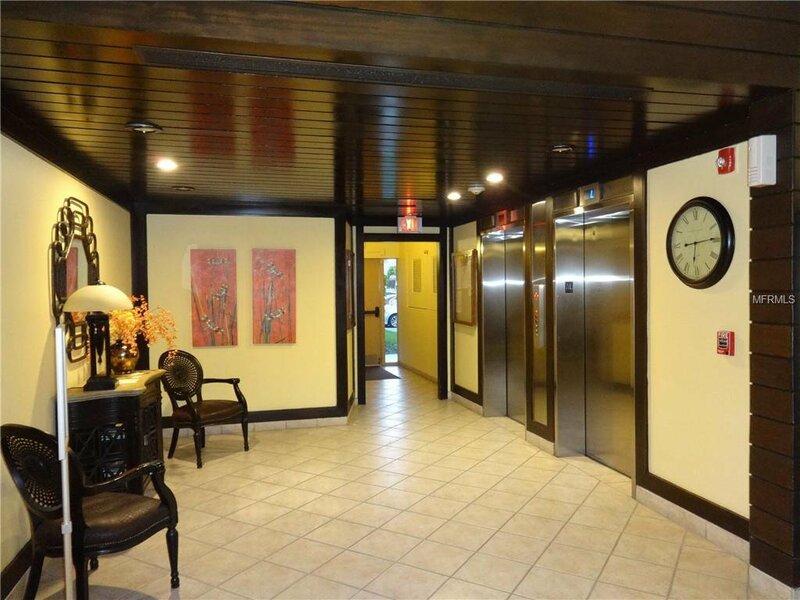 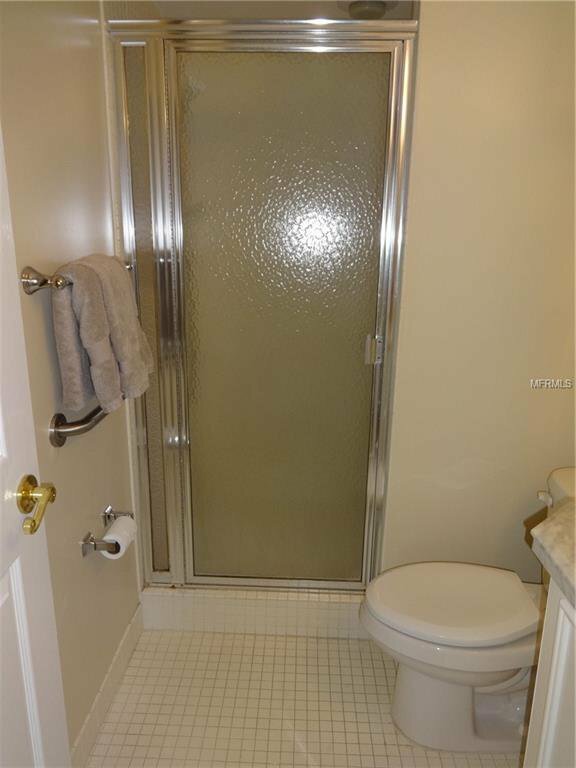 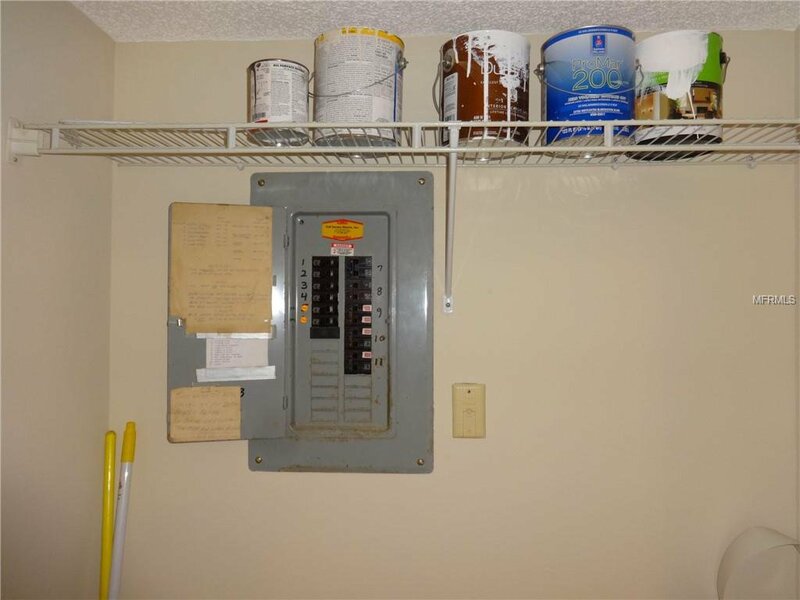 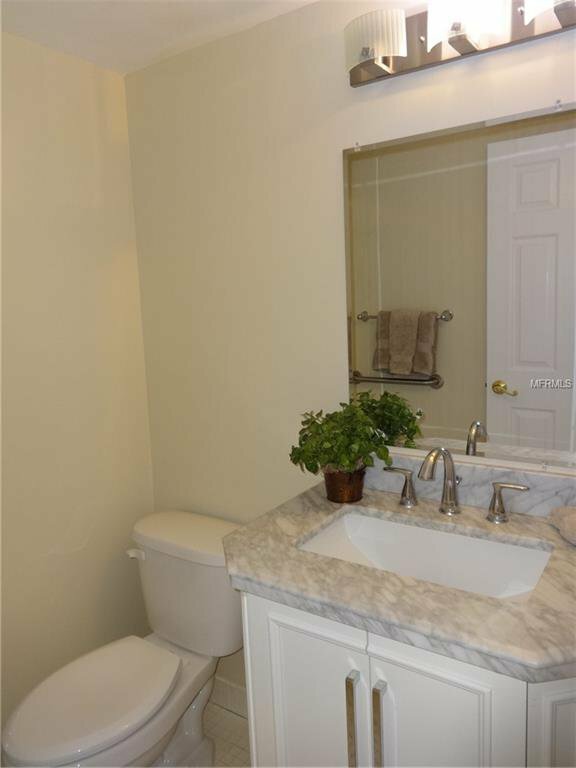 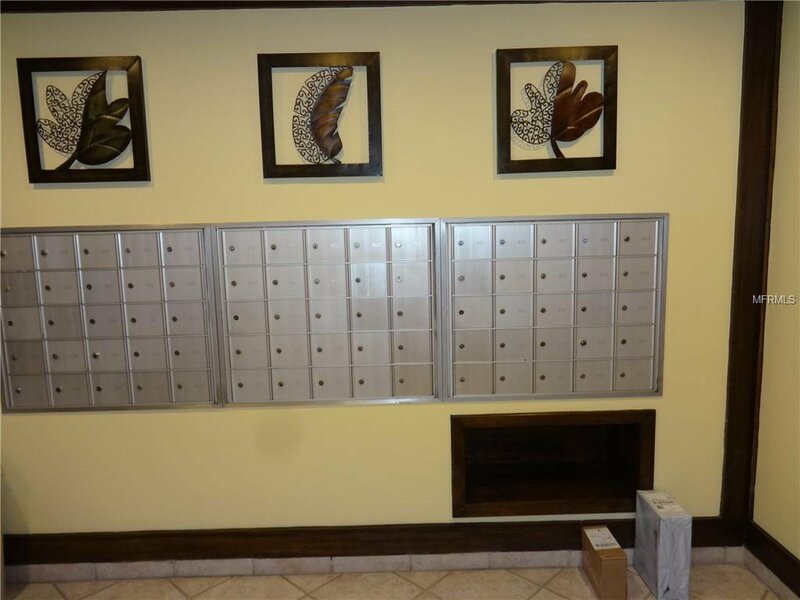 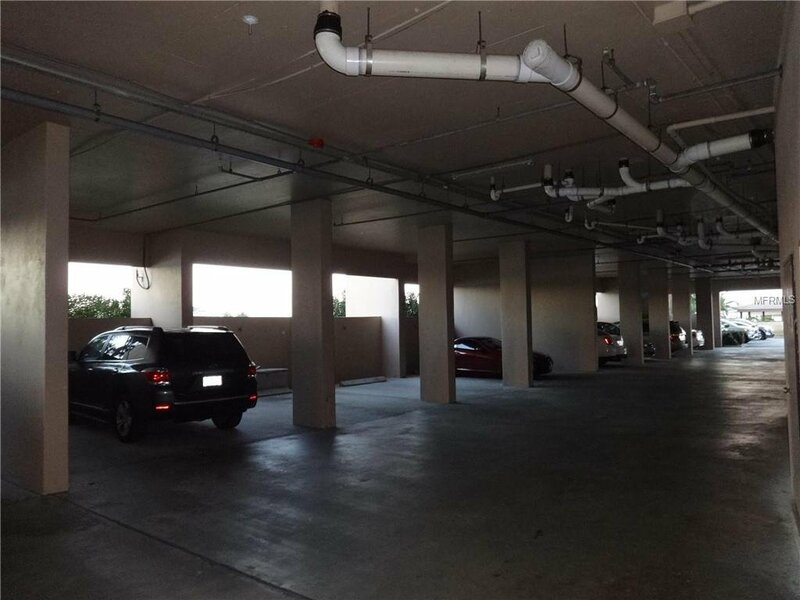 Well maintained with lush groomed landscaping, 24hr. 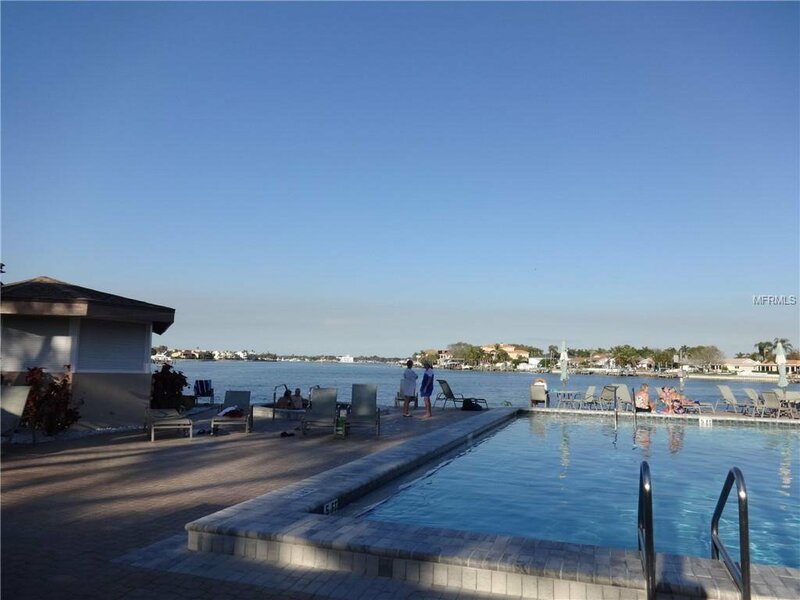 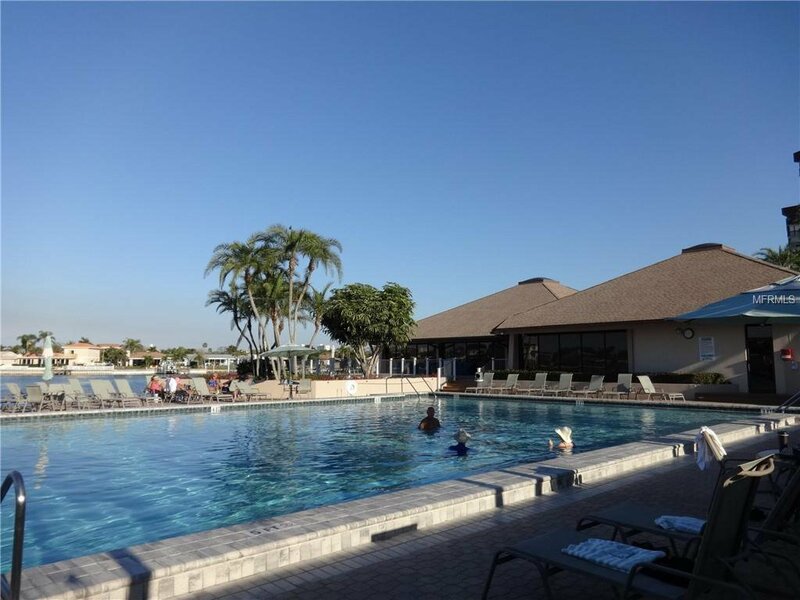 manned security gate & on-site management office, this resort like property boasts a newly renovated Waterfront Club House for private and community social events, Waterfront swimming pool, hot tub & sauna, deck areas for grilling & outdoor entertainment. 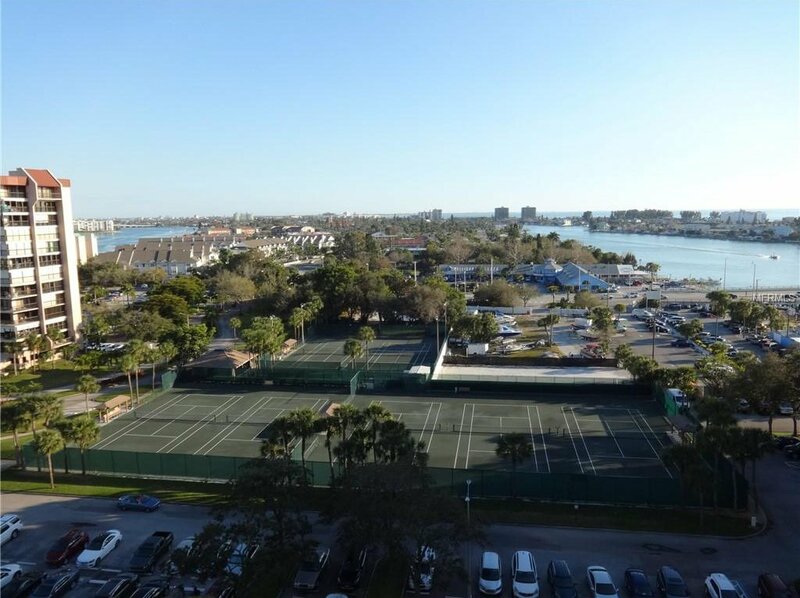 There is a fitness center, library, 7 tennis courts, workshop shed, fishing area, Marina with boat slips available for sale or rent from other members AND a social calendar full of vibrant activities! 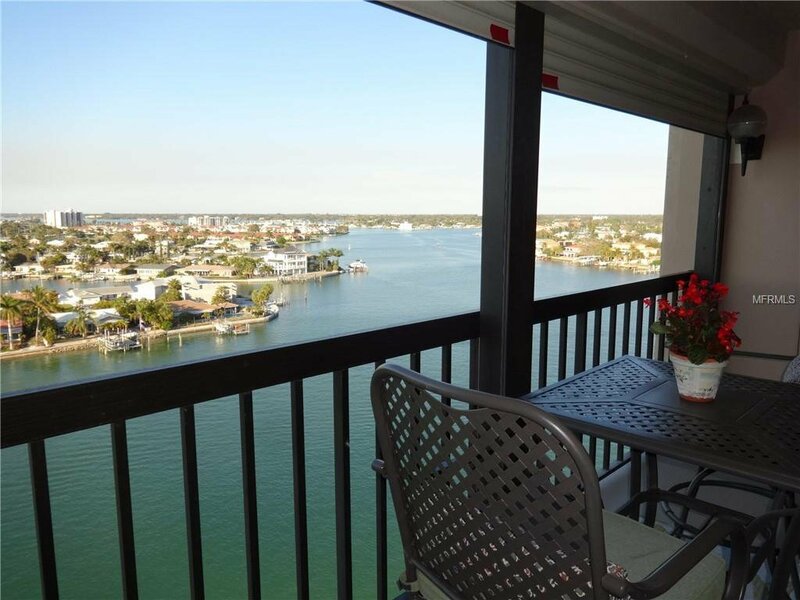 Unbelievable views also include the ICW daily dolphin watching....and the yearly Treasure Island Christmas boat parade judging vessel is directly below your balcony assuring you’ll never miss the boats! 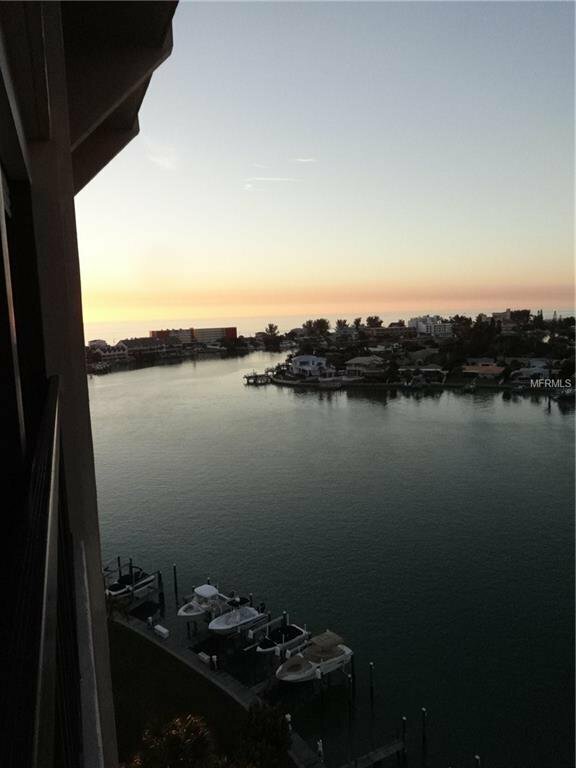 See for yourself...your carefree life awaits! 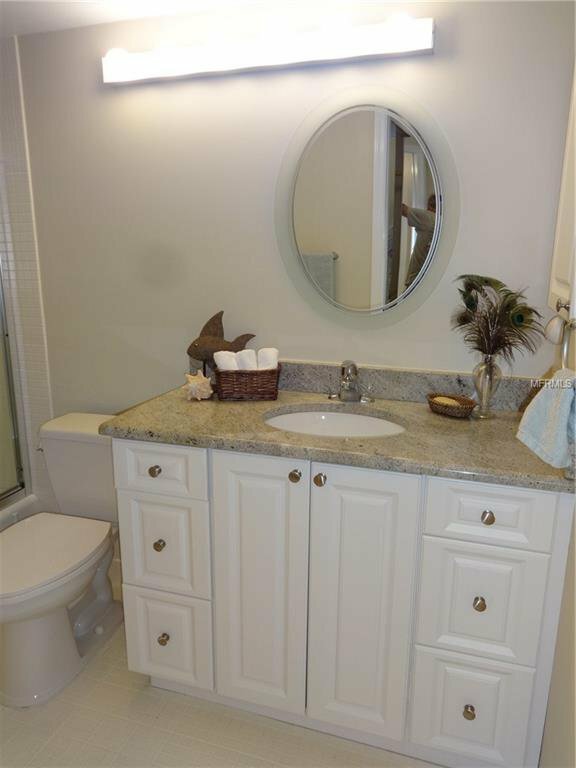 Listing courtesy of MC HOMES REALTY INC.